Saint George Cathedral, known as Roman-Catholic Dome, was built during periods 1736-1751 and 1755-1774 in baroque style. 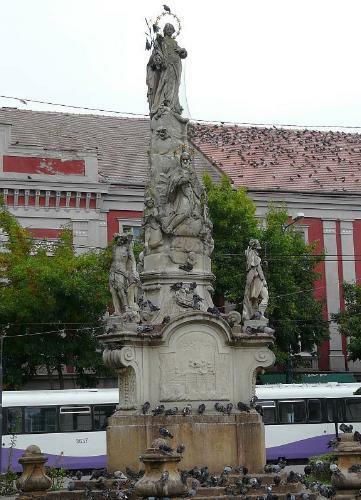 Also in Union Square, another baroque style monument resides, known as the Monument of the Holy Trinity or the Plague Column (Coloana Ciumei in Romanian, Pestsäule in German), dating back from 1740. The monument depicts Virgin Mary crowned by the Father, the Son and by the Holy Ghost in shape of a dove as well. At the base of the column other statues complete the scene: Saint John of Nepomuk, king David, Saint Barbara and others. 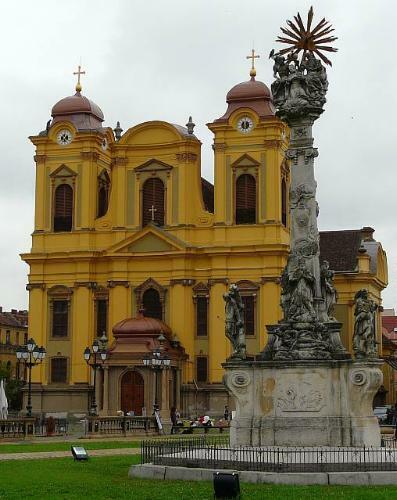 In Liberty Square, in front of the former City Hall and the Military Casino, there is a baroque rococo monument erected by the Catholic Society of the Saint John (Jan) of Nepomuk in 1756. In the central part of the monument Saint John of Nepomuk is placed, chosen in 1727 to be the patron of Roman Catholics in Banat. The statue Saint Mary, on top of the monument, is represented on the coin. The monument was created by Viennese sculptors Blim and Wasserburger. The Opera House of Timişoara Opera was built between 1871 and 1875 following the plans of Vienesse architects Helmer and Fellner who were specialized in designing playhouses. After the fire of 1920 it was rebuilt and modified by architect Duiliu Marcu. 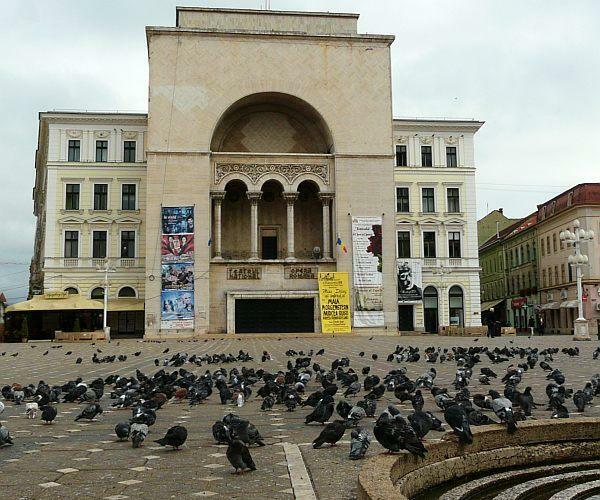 The institution of Timişoara Opera was founded in 1946 by royal decree, and the inauguration spectacle - Aida by Verdi - took place on April 27th 1947. Since 2004 the Opera got the title of National Opera. 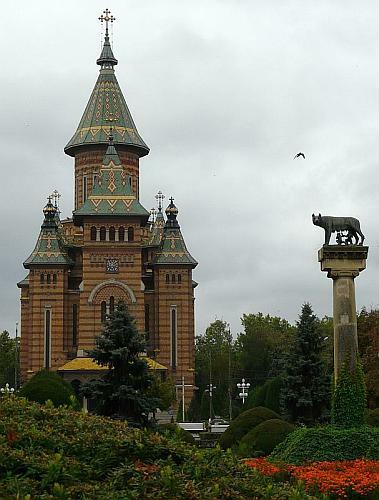 The statue of the she-wolf placed in front of the cathedral was a gift to the city of Timişoara from the authorities of the city of Rome in 1926. 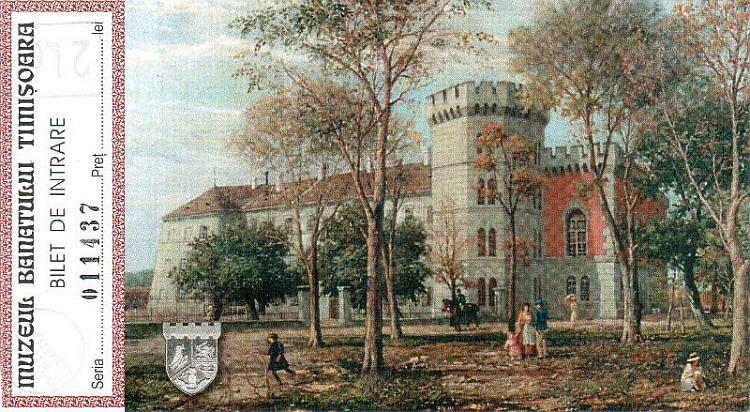 Museum of Banat in Timişoara resides since 1946 in the building called the Hunyad Castle. The castle was built by Iancu of Hunedoara (John Hunyad), over an older castle place of Hungarian King Carol Robert of Anjou, the later dating back from around 1310. It was rebuilt and renovated in 1856. Bridge "Metropolitan Andrei Şaguna", also known as the Bridge of Youth, was built in 1913, on the place of a wooden bridge. 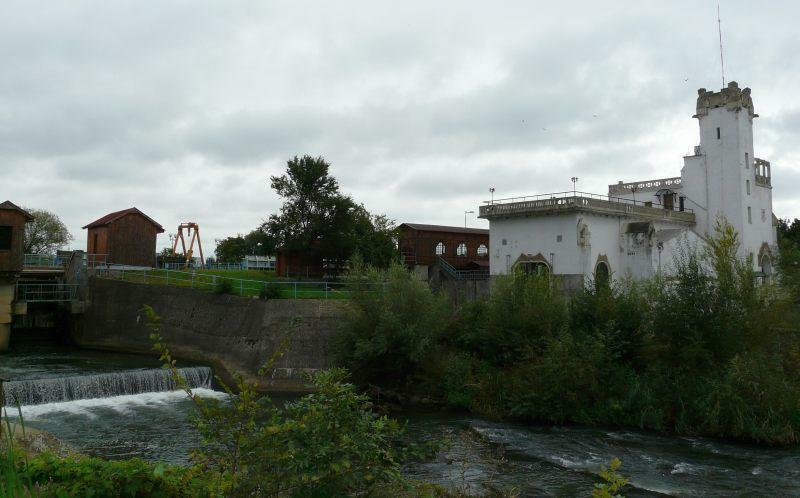 Hydroelectric Plant was started in 1910, after canalization of Bega River. 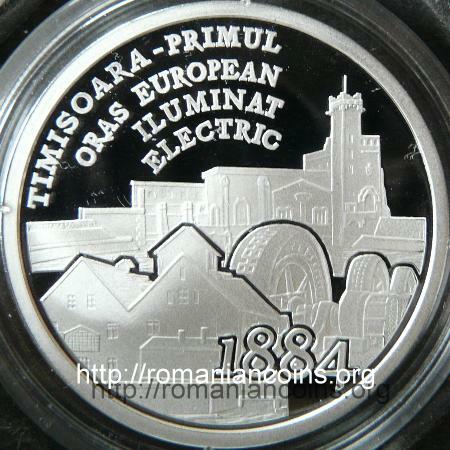 The coin pictures above are present on the site through the permission of an anonymous donor. 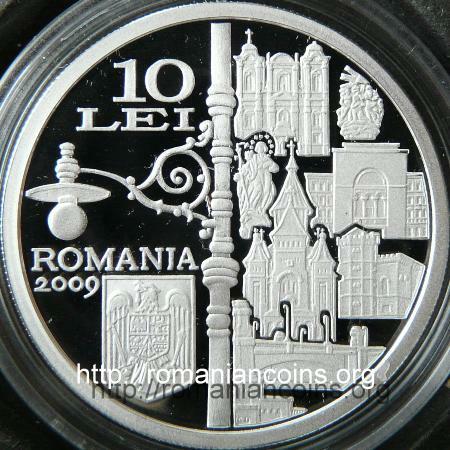 These pictures, like all other pictures displayed on Romanian coins / Monede româneşti, cannot be used in any circumstances to illustrate auctions or sales and cannot be posted on other web page without the permission of the owner.